There might come a time when a recipe calls a head of garlic, but you only have individual heads left in your storage. Many people purchase pre-peeled garlic cloves to make cooking easier. Or, you might want to plant some garlic inside or outside. Knowing how many cloves in a head of garlic allows you to better pre-plan planting. You might be confused by the terms clove of garlic and head of garlic. Is there a difference? A head of garlic, often called a bulb of garlic, contains multiple smaller cloves. When you break open a head of garlic, you find several cloves. Each head will vary in the amount of cloves. Recipes will typically call for a certain number of cloves. The answer is that each head of garlic is a different size and will have a different amount of cloves in a head of garlic. On average, a 2 ½ inch head will yield 11 garlic cloves. While the answer is not perfect, it gives you a general idea. The number can vary greatly! 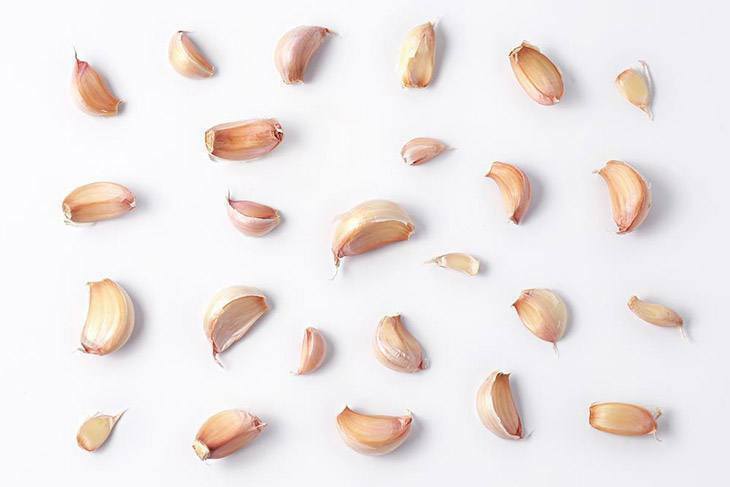 Some large bulbs of garlic contain up to thirty cloves! These varieties are rather large compared to the typical heads purchased in stores. It also can vary from one plant to another. One plant may have 11, but its neighbor may have 15! Garlic has a long growing season. You can grow garlic outside, indoors, or in a pot. Garlic planted in the spring typically can be harvested by late summer to early fall, perfect for winter storage. Here are some tips for planting your garlic cloves. While you can use garlic cloves you purchase in the grocery store, chances are they aren’t from your climate or region. 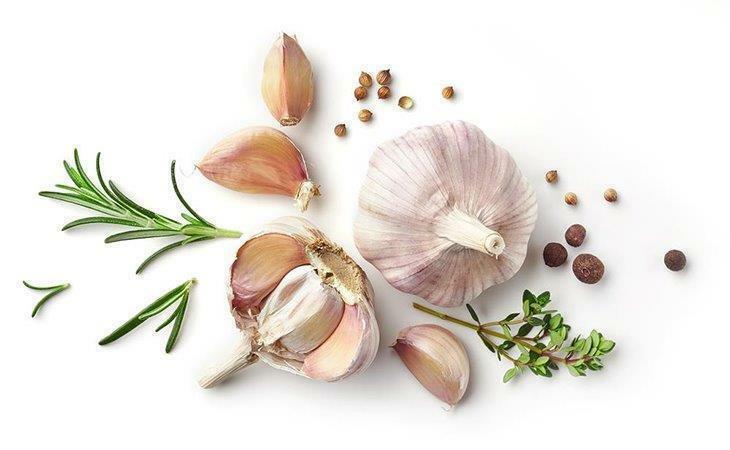 Your plants will do better if you plant garlic cloves you find at your local nursery. You could also search online for garlic varieties with specific features you desire, such as cold temperature hardiness. Gardeners can plant garlic in the fall or the spring. Garlic survives winters very well. In fact, the results tend to be better. The bulbs are usually larger and have more flavor. Make sure you plant your garlic plantings correctly. For a fall planting, plant your garlic cloves six to eight weeks before the ground freezes. You can determine your last frost by finding your USDA Hardiness Zone. For spring plant, put the cloves into the ground as soon as the ground is workable, around February or March. When to pick banana pepper (2018 Upadate): Learn All You Need To Know Here! When it comes time to plant your garlic, you have to open up the head of garlic and divide it into individual cloves. For planting, you want to keep the paper-like skin on the cloves. If you use the cloves for cooking, that skin must be removed. ​Plant the garlic clove with the flat, root side putting down. The tapered side should face upwards. Each clove should be planted four inches apart and two inches into the soil. After planting, you should cover the area with six inches of straw, if you planted in the fall. You will remove the straw once spring arrives. Mulching the area with straw protects the garlic from the harsh frost. The greens will start to appear pale in color and start to wilt. It is time to harvest you long-awaited garlic when the leaves are ½ to ¾ brown. 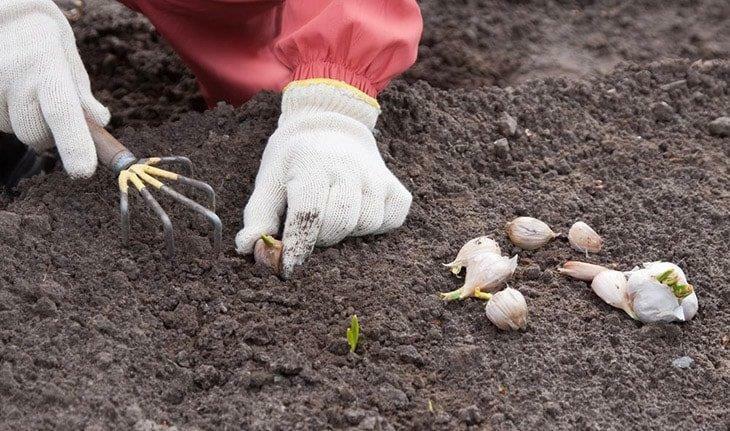 Using a spade or digging fork, gently lift the garlic bulbs out of the ground. Garlic bruises easily, so you want to be sure to do this without damaging the head. Once harvested, you need to get the bulbs into a dry, dark location quickly. Fresh garlic cannot be outside in sunlight. Brush off the dirt to the best of your ability. Many people braid garlic for long-term storage; it works perfectly! You can see how to braid garlic in this video. 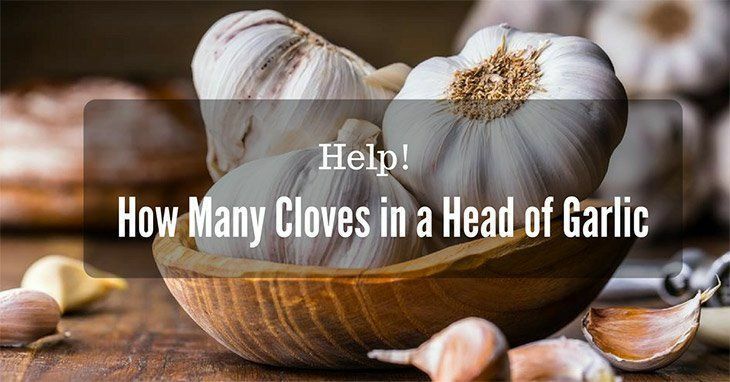 Knowing how many cloves in a head of garlic helps cooks and gardeners. You can determine what you need for your perfect dinner recipe. If you are a gardener, knowing this information allows you to estimate how many bulbs to purchase for your garlic planting this fall or spring. Each clove will become a whole head of garlic! Soon, you will have more garlic than you ever imagined, hanging in your root cellar.